So what is Hoopers Agility? A low impact agility based sport where your dog runs through arches, around barrels and through short tunnels, it is a fun sport where distance handling is focussed on. A great pre-agility sport, a great sport without landing impact or a sport for retired agility dogs. 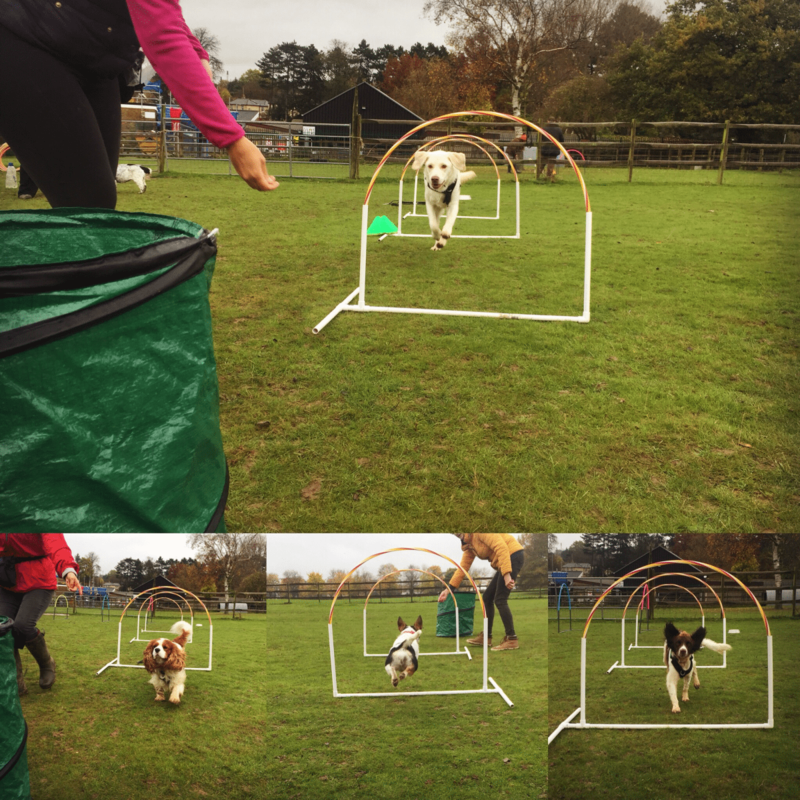 Happiest Hounds Dog Training Hoopers Agility classes in Harlow are held on Sunday afternoons in a fully enclosed, very large outdoor paddock. The paddock we run Hoopers courses in has fantastic drainage so does not get too muddy with the rain. Harlow classes are held at Pets’ Corner, Harlow Town Park, Harlow, Essex. 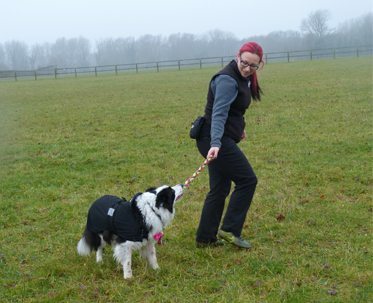 The classes are very small (just 6 dogs maximum) and are held in 6 week blocks. Classes are affordable (just £60 for a 6 week block), reward based and fun. There are video based tips to support the training too. Book your next course early as demand for these classes is high!